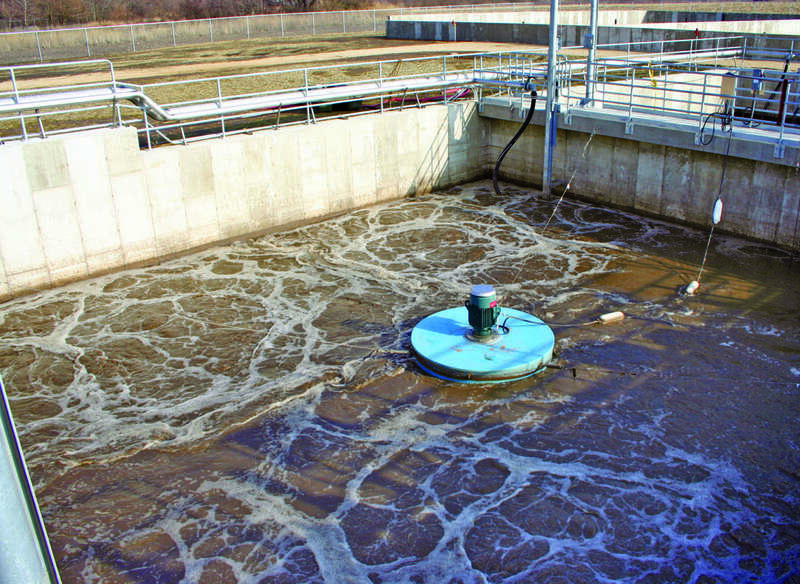 The Aqua MixAir® system promotes anoxic/aerobic and anaerobic environments by harnessing the capability to cyclically operate aeration and mixing. The Aqua MixAir® provides separate mixing with the AquaDDM® Direct Drive Mixer and an aeration source such as the Aqua-Jet® surface aerator or Aqua-Aerobic diffused aeration. The cyclical operation allows efficient aeration and mixing with low energy consumption.